The Quebec immigration selection system for Quebec Skilled Workers is designed to identify immigration candidates who are most likely to become economically established in the province. Skilled Worker applicants who intend to reside in Montreal or in another city or region within the province of Quebec are assessed under a different system than applicants who wish to settle elsewhere in Canada. Skilled Workers or international graduates in Quebec may apply to immigrate to Quebec under what the Government of Quebec calls its 'Regular Skilled Worker Program', also known as the Quebec Skilled Worker Program (QSWP), or the Quebec Experience Program — PEQ. 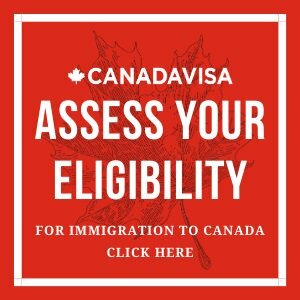 Find out if you qualify for a Canadian immigration program. On August 2, 2018, Quebec's new Expression of Interest System came into effect as part of the province's efforts to streamline the processing of QSWP applications. Individuals interested in applying for immigration to the province will begin the process by declaring their interest in applying to the program by entering a profile in the Quebec Expression of Interest Bank. On September 18, 2018, Quebec's immigration ministry, the Ministère de l'Immigration, de la Diversité et de l'Inclusion (MIDI) began accepting expressions of interest to apply for the Quebec Skilled Worker program through the Arrima portal. All potential applicants to the QSWP must first submit an expression of interest for free by completing a profile using the Arrima portal. The Arrima portal will remain open year-round and individuals looking to immigrate to Quebec under the QSWP will be able to submit an expression of interest profile at any time. Candidates invited to apply for immigration to Quebec through the QSWP must use the secure Mon projet Québec portal in order to submit an application. Mon projet Québec allows candidates to complete their application for a CSQ, make their payment online, follow the status of their application, make changes to their application, and access personal electronic messaging throughout the process. Applicants who are successful under the Quebec Skilled Worker Program are issued a Quebec Selection Certificate (CSQ) and can then apply to the Government of Canada for permanent residence. Immigration, Refugees and Citizenship Canada (IRCC) will conduct a medical and criminal background check as part of its approval process. In order to qualify for a CSQ, you must score enough points under the Quebec Immigration selection factors described below. A single (unmarried) applicant must score at least 50 points based on this system, while an applicant with a spouse or common-law partner must score at least 59 points. Many of the documents required in order to apply for the Quebec Skilled Worker Program must be certified true copies. Click here to learn more. For more information about the Quebec Skilled Worker Program, see the Quebec Skilled Worker FAQ. 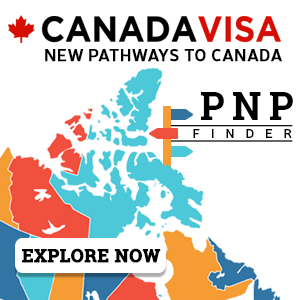 Learn more about the Canadian Immigration Process for the Quebec Skilled Worker Program. The Quebec Experience Program, or Programme de l’expérience Québécoise, or PEQ) is another Quebec immigration pathway available to eligible international graduates with a Quebec diploma and individuals with at least 12 months skilled work experience in the past 24 months. Applicants to the PEQ are required to have an advanced intermediate knowledge of spoken French. Complete a free assessment form to learn your options for Quebec immigration.